Epic Medical’s team led by Dr. Eric Skvarla offers comprehensive ongoing care for your entire family, from infants to the elderly. We provide routine and preventive care as well as treatment for acute illness and chronic conditions. Our dedication to detail, personal attention, and close follow-up sets us apart from other medical practices and doctors. We believe that health care providers should be guides for our patients while they navigate lifestyle choices and form good habits. 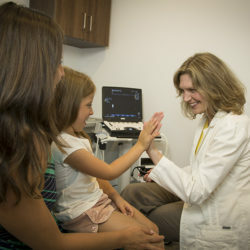 Dr. Skvarla emphasizes preventive care and disease prevention, offering health screenings, immunizations and early intervention programs for chronic conditions like heart disease, diabetes and high blood pressure.